It’s very important to make sure a tree stump on your property is removed professionally. As part of your spring maintenance and spring tree care, you might have removed a tree from your property. If you are dealing with an old tree stump (or a new tree stump, for that matter), it’s always a good idea to remove them from your property. 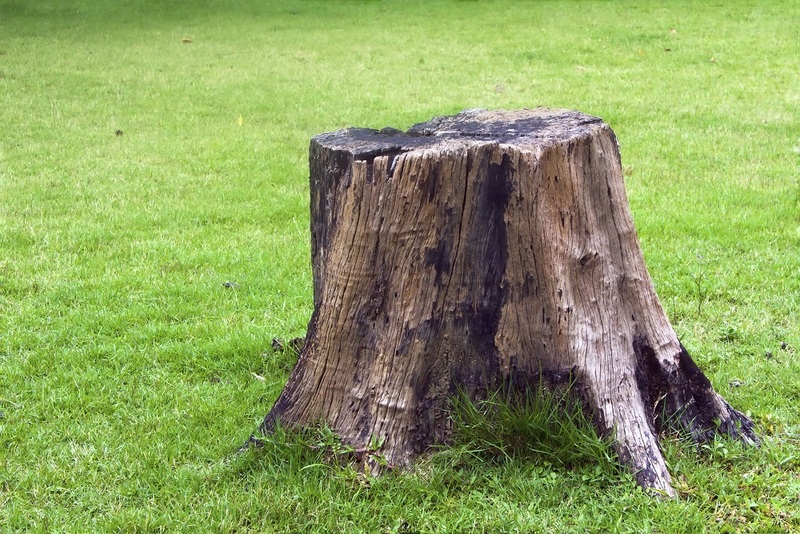 Why is proper tree stump removal so important? Even if you have gorgeous landscaping, beautiful flowers planted by your mailbox, and attractively-trimmed bushes against your porch, a huge tree stump in your yard ruins everything else! Tree stumps are visually ugly and detract from the beauty of the rest of your yard. Even if you aren’t planning to put your home on the market anytime soon, remove the tree stump from your yard to boost your curb appeal back up where it belongs. Tree stumps are the perfect home for many different pests that you definitely don’t want in your yard. Wood-loving termites might take up residence in your tree stump and then discover your delicious-looking home just a few feet away. Other insects, like carpenter bees, aren’t outright harmful but will definitely get annoying during summer picnics. This entry was posted on Friday, April 21st, 2017 at 12:35 pm. Both comments and pings are currently closed.